Regulator encourages charities to use tool to measure how well they are protected against fraud. No longer current. The Self-Assessment Fraud Resilience (SAFR) Tool is now available. The commission has circulated the SAFR tool to all registered charities with an annual income of over £1m - of which there are around 6,700 - and encourages them to complete it before the end of March. Charities completing the self-assessment will receive instant results, giving them a fraud resilience rating out of a maximum 50 score, and telling them how well they have scored relatively (by percentile) against the hundreds of organisations across the charity and other sectors who have already measured their fraud resilience. Charities will also receive an estimate of how much they lose to fraud each year. 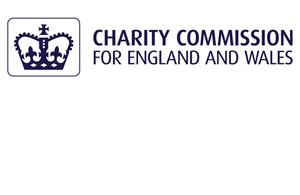 The regulator stresses that charities’ responses will be strictly confidential. The commission will have no access to individual responses but will see an overview of outcomes, which will allow it to identify areas of particular strength or weakness and thus help it focus and improve its guidance for charities. There is no agreement over the extent of fraud affecting charities, but the commission says that there are no grounds for believing that charities are any less vulnerable to fraud than other types of organisations. I encourage larger charities to use this well-established tool to assess their resilience against fraud. The public, grant funders and commissioners expect charities to be rigorous in their protection of charity assets - using this tool is one way for trustees to demonstrate that they take the risks seriously. It is important that we gain a better understanding of the nature and extent of fraud in the charity sector, so I hope that as many larger charities as possible complete the self-assessment before the end of March. This tool is designed for larger, more complex organisations, which is why we have recommended it for charities with incomes of over £1m. But we are working with the designers to develop a system suited to smaller charities - which of course make up the bulk of registered charities. Charities always need to be vigilant against fraud and this tool is a useful way for charities to test their counter-fraud strategies. Fraud is constantly evolving, and charities need to regularly review their financial controls and strategies to meet new threats. At a time when resources are tight, charities need to be aware of fraud risks and ensure they are adequately protected. The SAFR tool provides answers to key questions for any charity - how much does fraud cost us; how well are we protected? - based on the largest databases in the world concerning the measured cost of fraud and fraud resilience. PKF and University of Portsmouth are delighted to make available this free tool. The more charities know about the nature and scale of fraud, the better they can manage and minimise it. The Charity Finance Group has developed a guide to help charities prevent and disrupt fraud; the guide was developed in collaboration with the commission and other partners (Charity Fraud – a guide for trustees and charity manager). Charity Finance Group (CFG) is the charity that champions best practice in finance management in the voluntary sector. See http://cfg.org.uk/ for more information. PKF Littlejohn is a leading global accountancy and Business services firm. See www.pkf-littlejohn.com for further information. The Centre for Counter Fraud Studies at University of Portsmouth is Europe’s premier research centre concerning fraud. See www.port.ac.uk/centre-for-counter-fraud-studies for further information. There is no agreement over the extent of fraud affecting charities - it is in its nature that it will often remain concealed. The National Fraud Authority estimates that between £148m to £1.1bn is lost to the UK economy as a whole each year. Global research estimates suggest that fraud losses amount to around 5.6% of turnover.